I'm having fun in the house displaying all the old Hydrangea's coming out of the garden. There are still more that need to be brought in before it's to late! 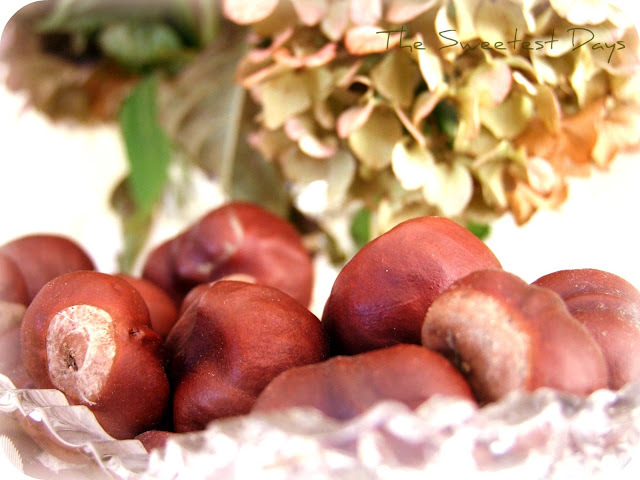 Those horse chestnuts are called Buckeyes if you're from Ohio! One in your pocket is supposed to bring good luck. We had a tree in the woods in Kentucky, and I loved opening the shell to see the shiny nut! Those are beautiful - I was just looking at some hydrangeas outside my window and wondering how to bring them in & preserve them without having them droop. Any pointers? Reminds me of the days playing conkers with horse chestnuts when I was young....I don't thinks kids today have heard of it! Lovely soft beauty here! 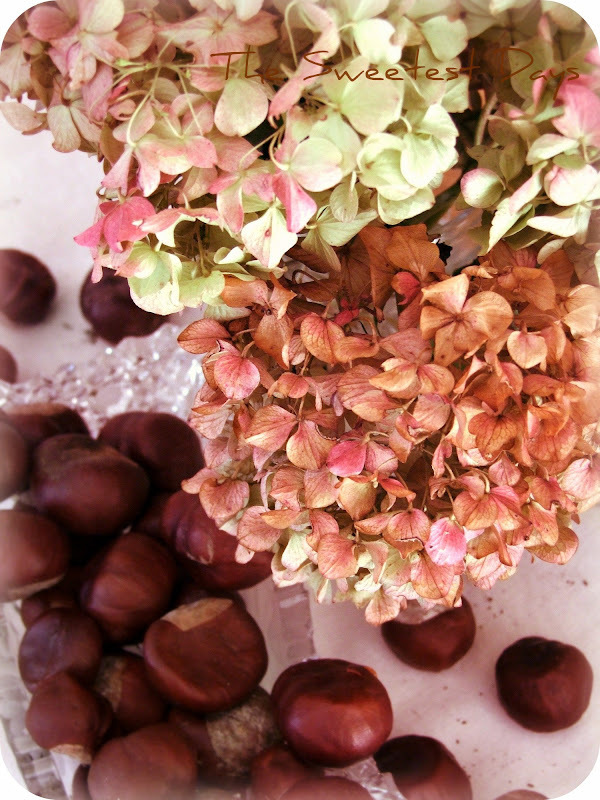 Gorgeous colors, Sharon, and I love the blossoms paired with the chestnuts. 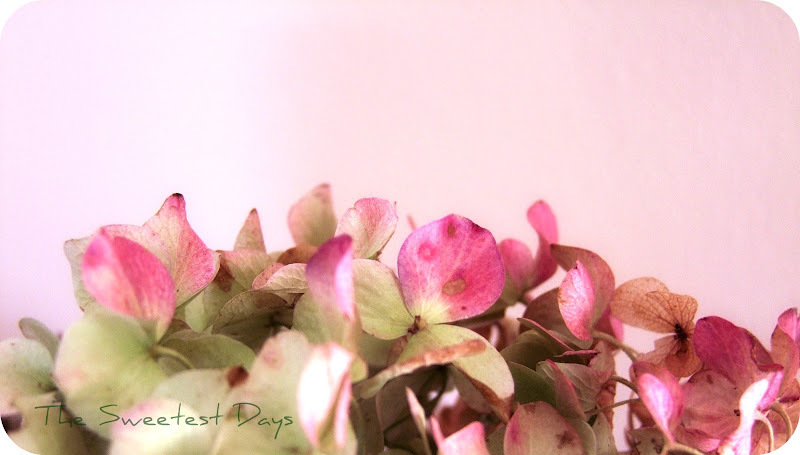 I cut the last of our hydrangea blooms yesterday. We are due for rain and that will be the end of them. 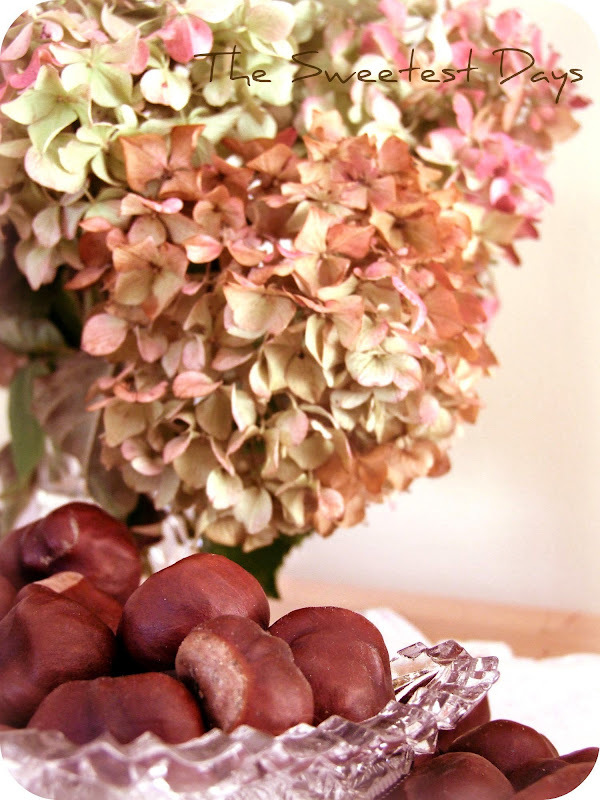 Love this marriage of chestnuts and hydrangeas...clever girl. P.s. Hydrangea are one of my favorites too. Unfortunately they are hard to grow in the dry southern Cal. climate. Your photos are all wonderful-I checked out your New England Life blog also.I love your photography. Thank you for your kind words on my blog but I hope it is you who is published! I have been to NH a number of times and hope to go back again sometime. I love the colors of those hydrangeas! great table display.